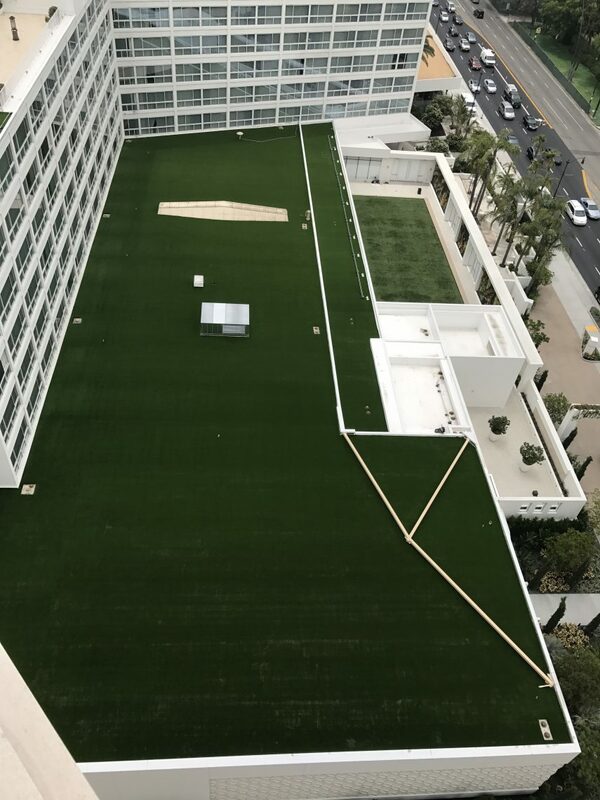 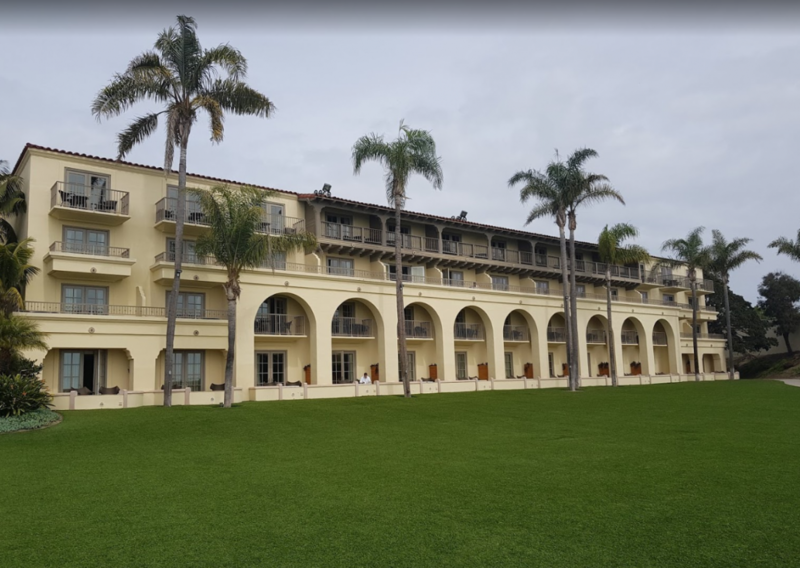 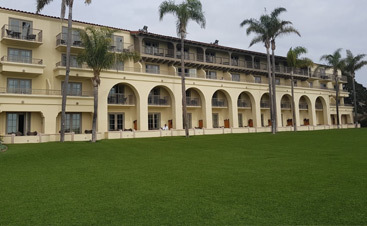 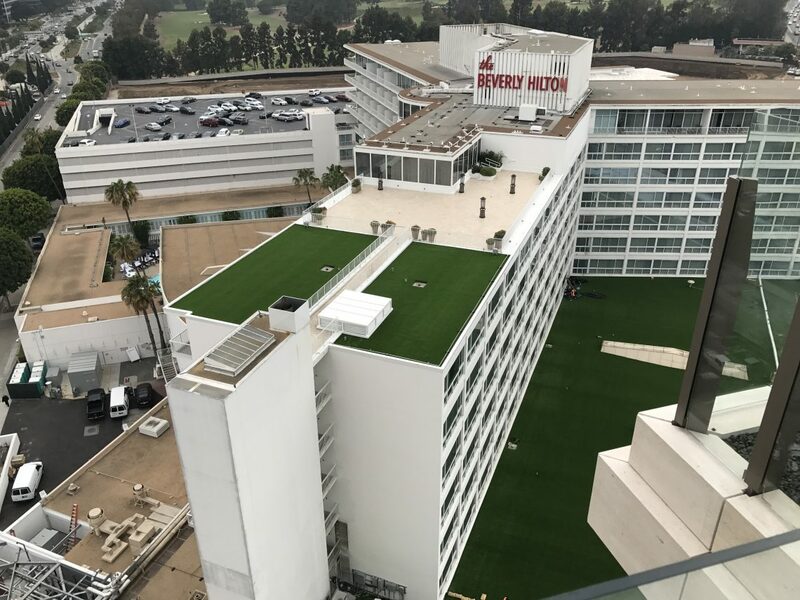 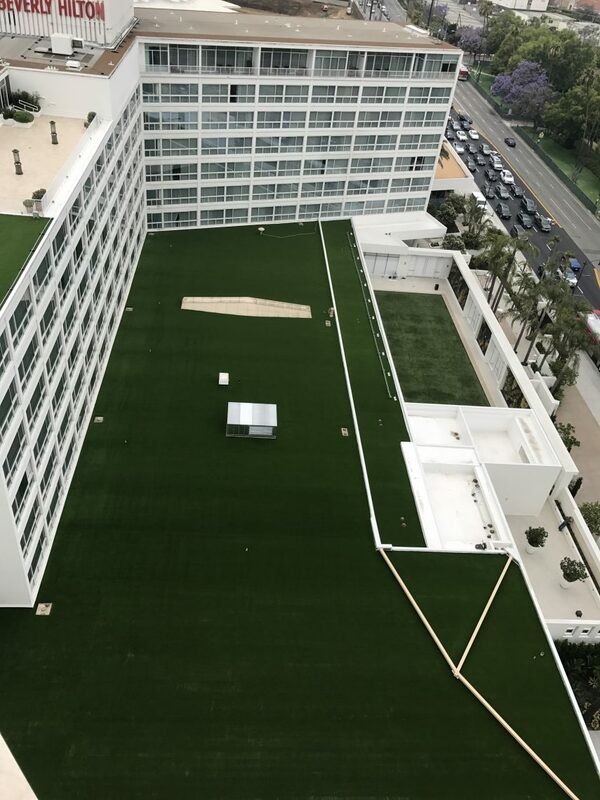 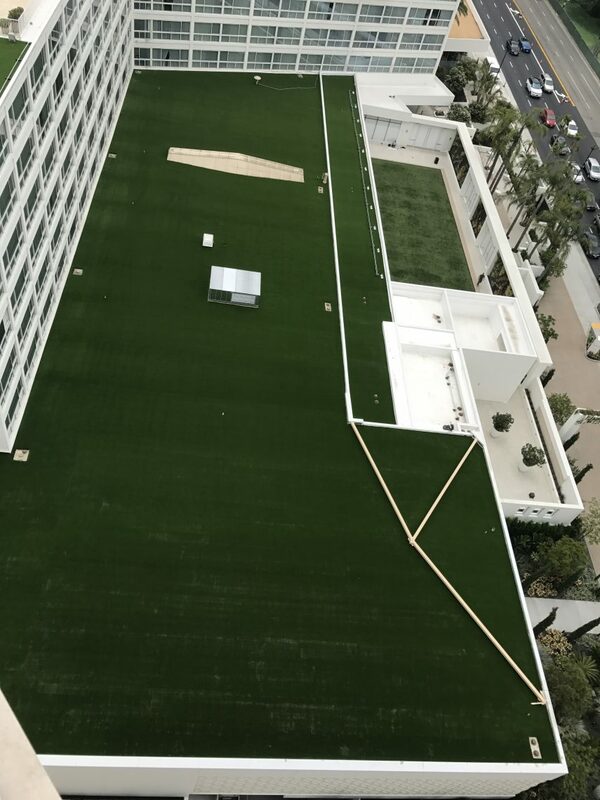 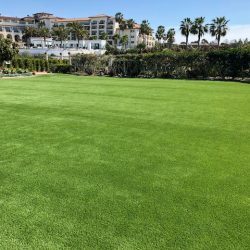 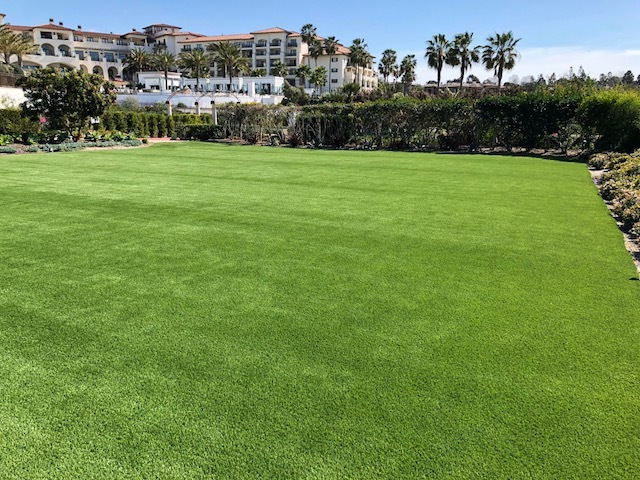 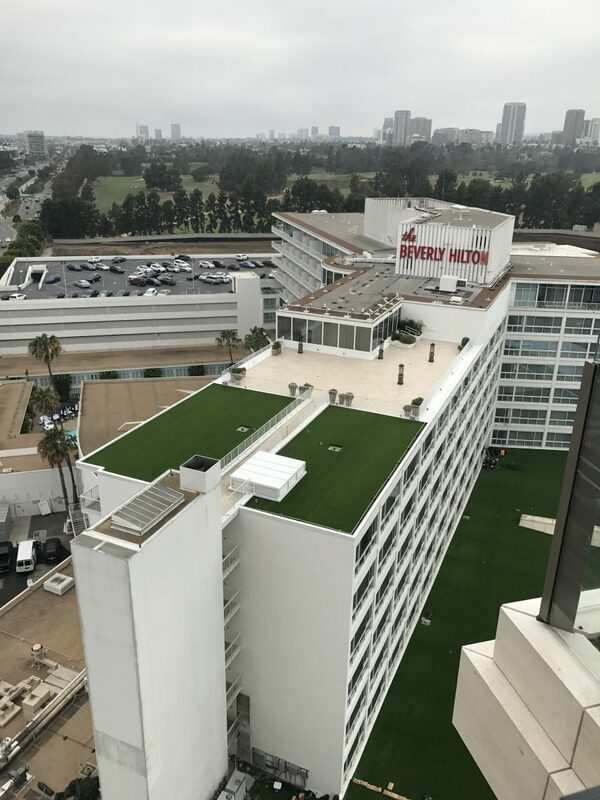 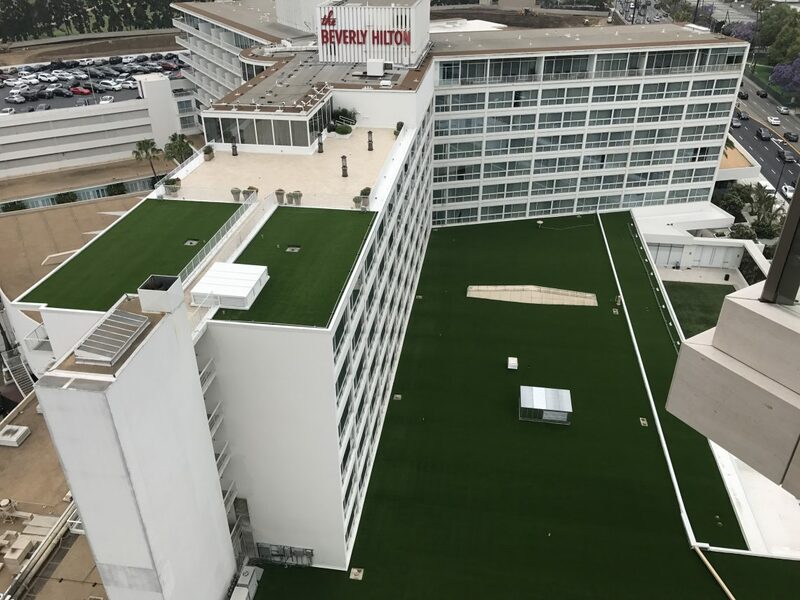 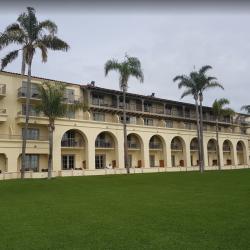 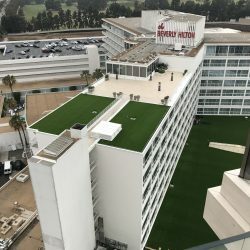 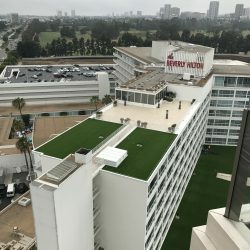 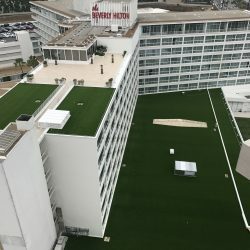 If you’re a commercial property owner and you are weighing your options between sod and turf, we’re here to convince you that the choice is obvious. 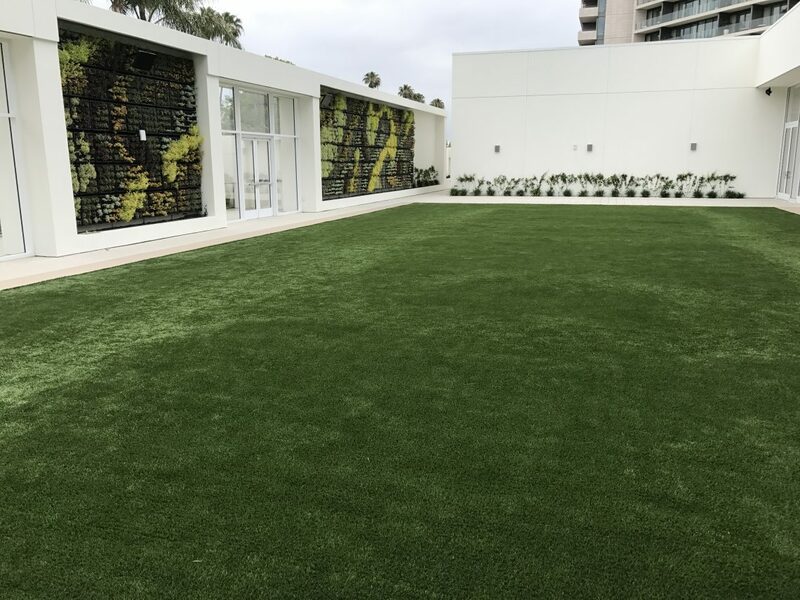 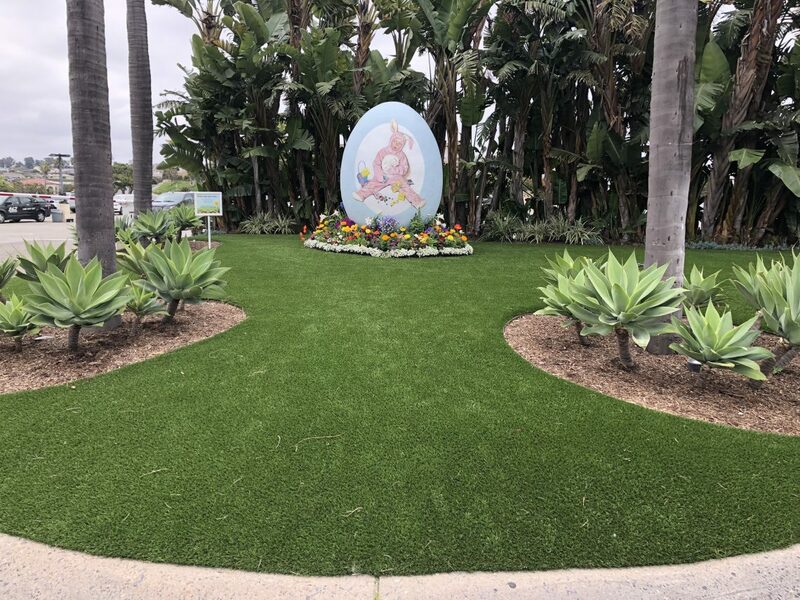 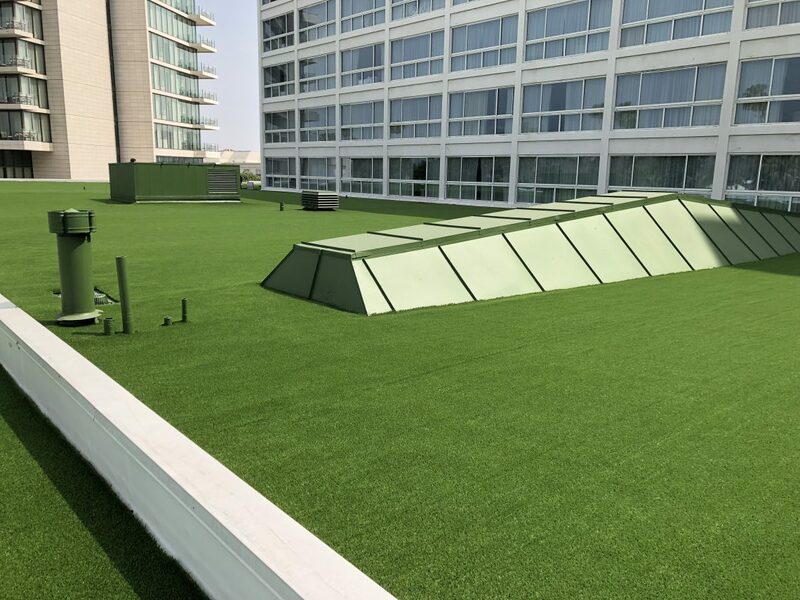 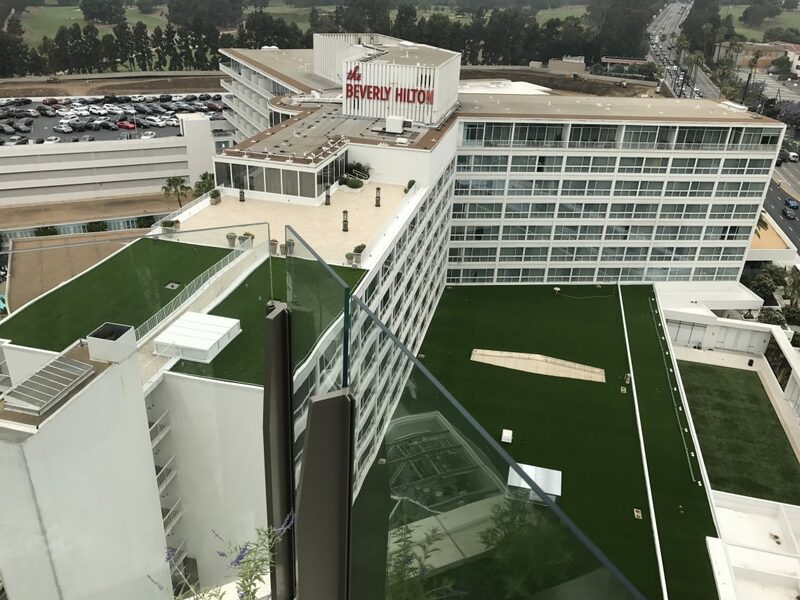 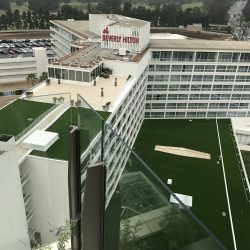 Artificial grass is fast becoming the most desirable landscaping material for commercial properties because it provides property owners a number of benefits, making this material ideal for a litany of landscaping projects. 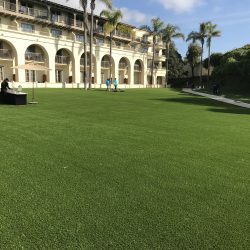 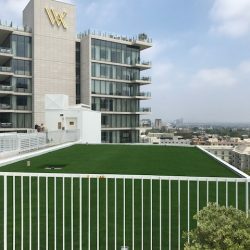 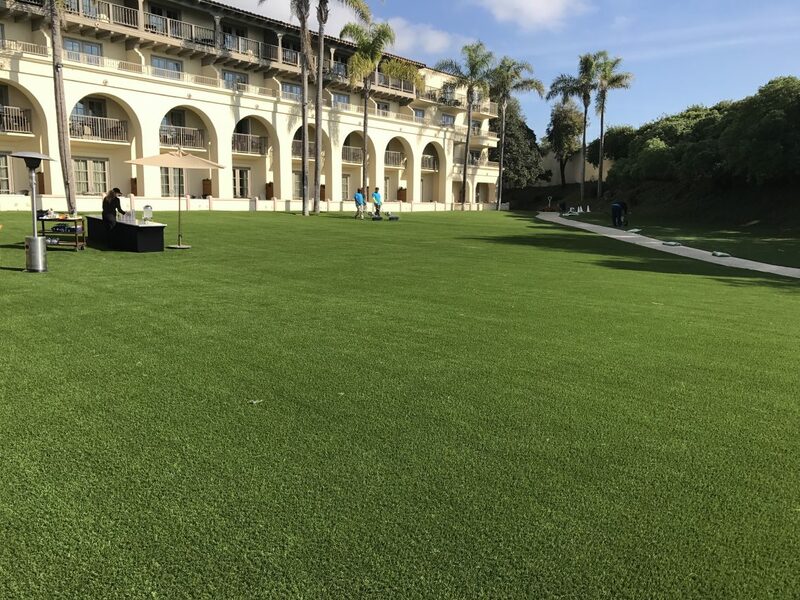 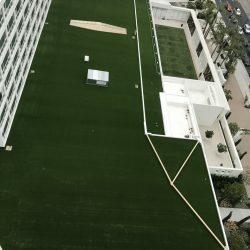 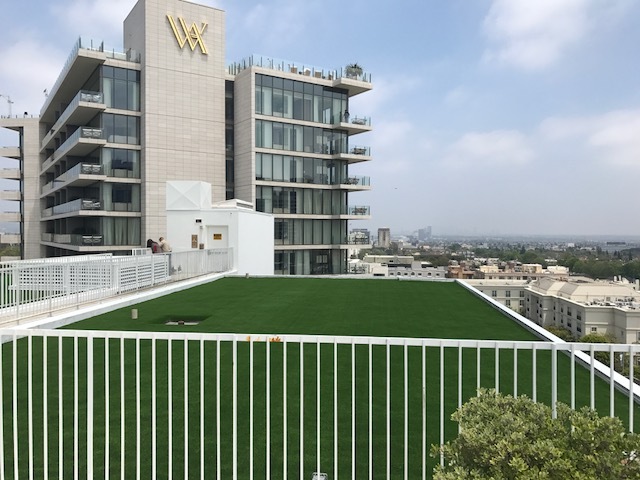 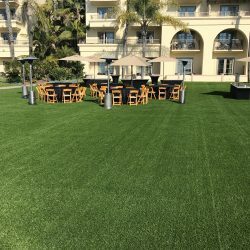 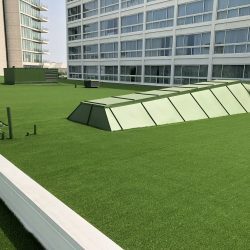 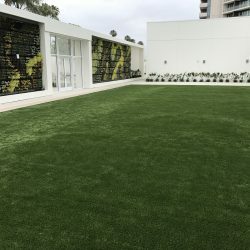 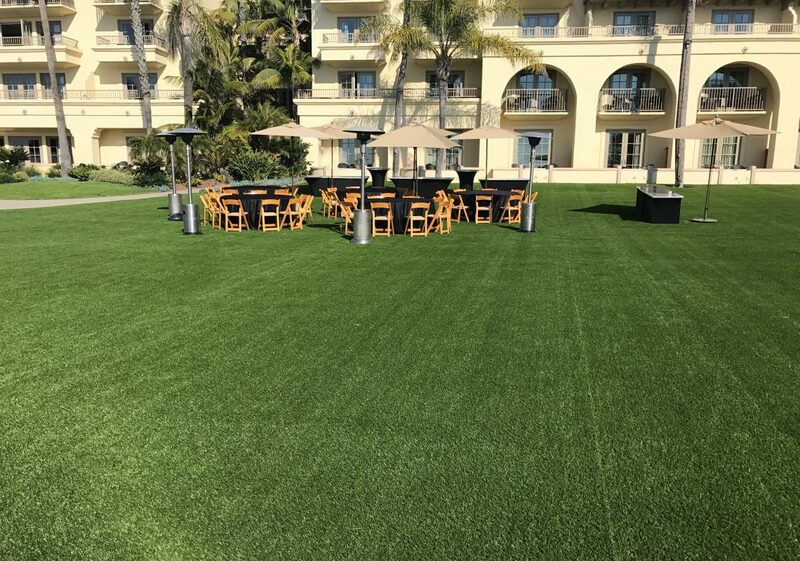 Here are a few of the most notable benefits that commercial property owners will enjoy when they choose to invest in artificial grass over sod. 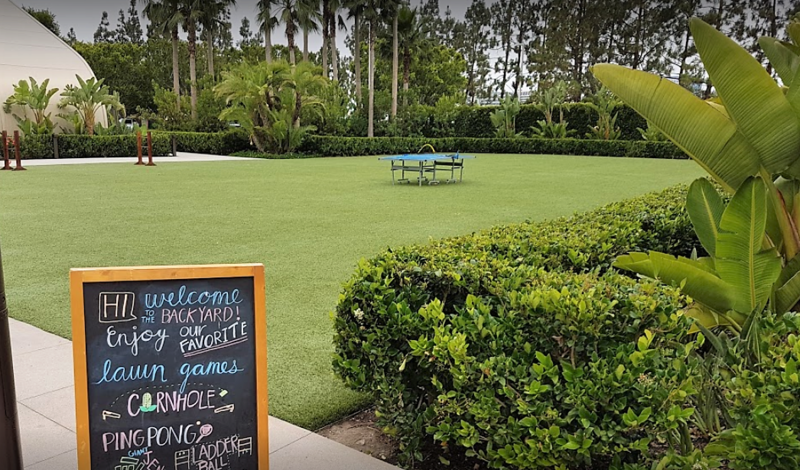 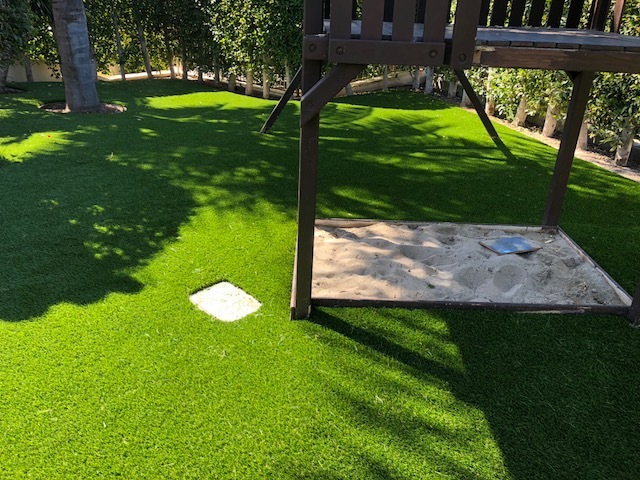 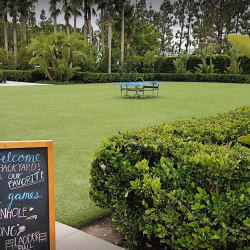 Artificial grass doesn’t just look great, it’s perfect year round. 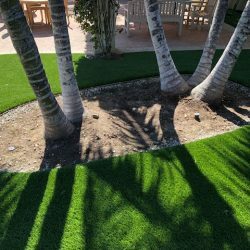 While sod may look wonderful when it is freshly laid, it’s bound to fall victim to some form of damage over the years. 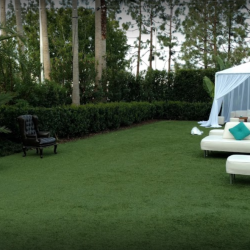 A grass lawn can be underwatered, sunburnt, damaged by gas spills, or even ruined by pet urine. 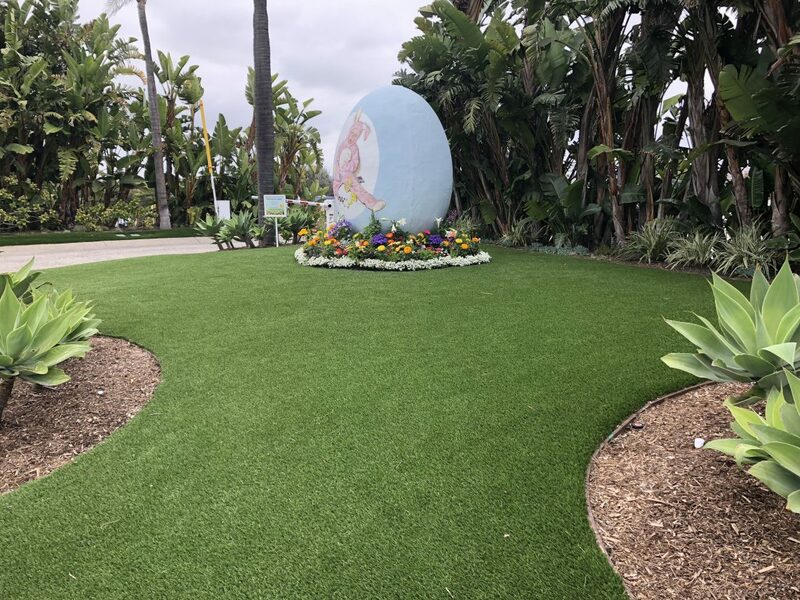 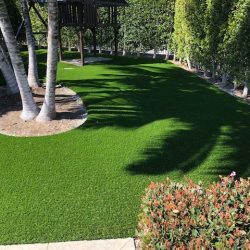 On the other hand, our turf products remain perfect, while maintaining a natural aesthetic, regardless of what you throw at it. 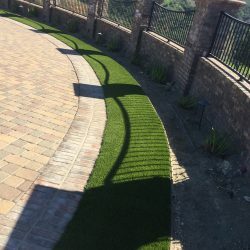 You’ll love the look of a landscape that looks perfectly manicured, without all the effort it would otherwise take to grow real grass. 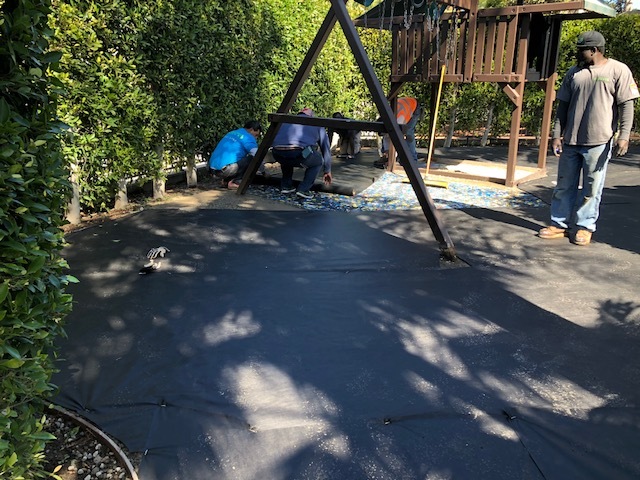 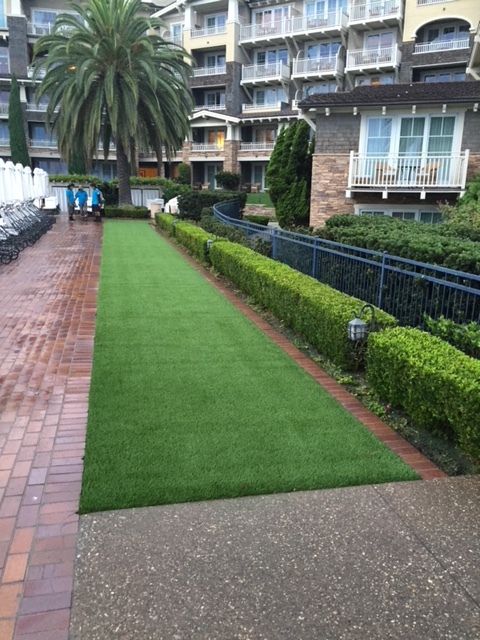 Artificial turf requires little maintenance. 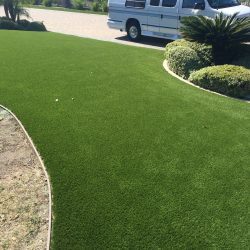 You won’t have to mow, fertilize, tend to dying grass, or pull weeds. 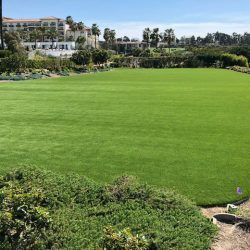 No mowing: Mowing a lawn isn’t just an inconvenience, it can be costly, especially for larger fields of grass. 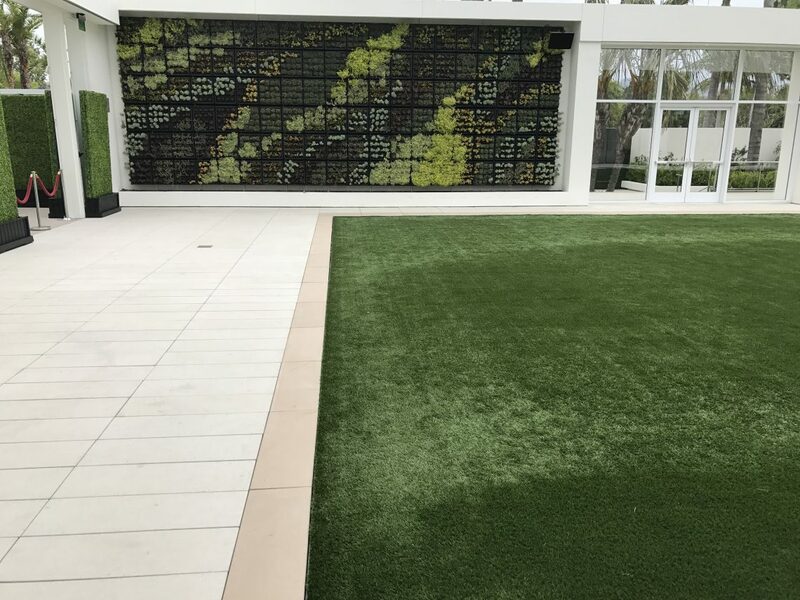 With our turf, you’ll never have to mow. 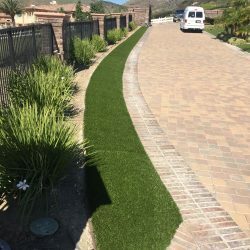 That’s a big cut in cost for any property owner, especially when mowing can run anywhere from 30 dollars per visit to over 100 dollars, if you’re dealing with several acres of grass. 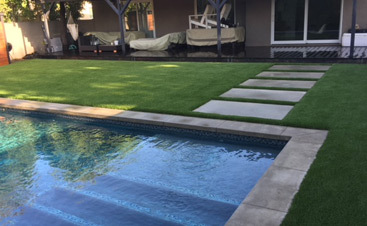 Beyond that, you won’t be wasting gas to mow that grass. 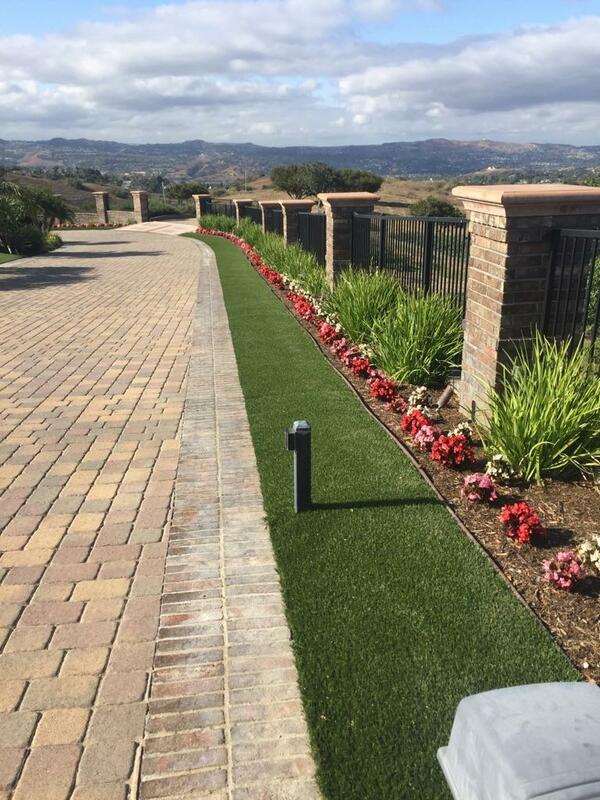 Obviously, our turf doesn’t grow, so you won’t have to have gas-guzzling mowing equipment rumbling over your property. 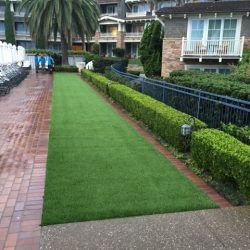 In this way, artificial grass is more environmentally friendly option than wasteful, natural grass lawns. 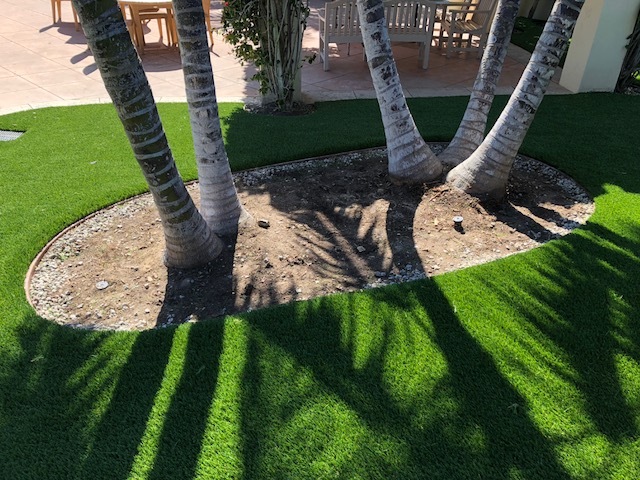 Plus, if you have a larger lawn, you won’t have to keep a maintenance crew on staff. 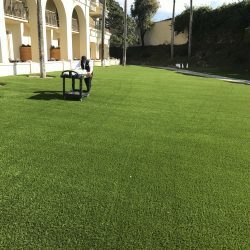 That means no costs for wages, no worker’s compensation costs, no worries of an accident happening to a staff member as they care for your lawn. 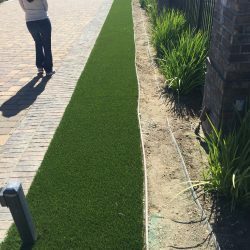 No fertilizer: Fertilizing isn’t quite as costly as mowing, but those bills add up. 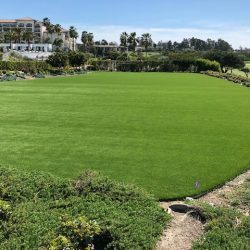 If you have a lawn to fertilize, you can expect to spend anywhere from 250 dollars per year (for smaller lawns), to several thousands of dollars, if you’re fertilizing grass by the acre. 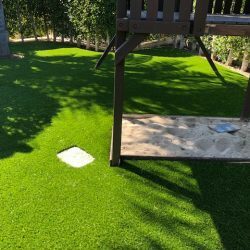 That’s just one more reason why artificial grass beats out the costs of sod. 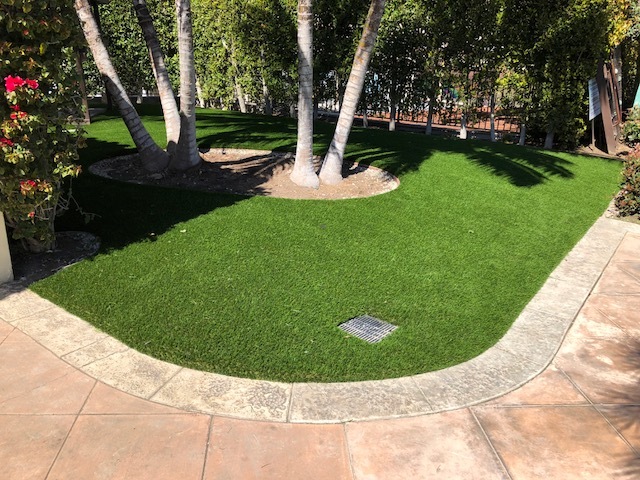 No caring for grass: Since artificial turf is impervious to disease, overwatering, underwatering, sun exposure, and other problems, it requires little maintenance. 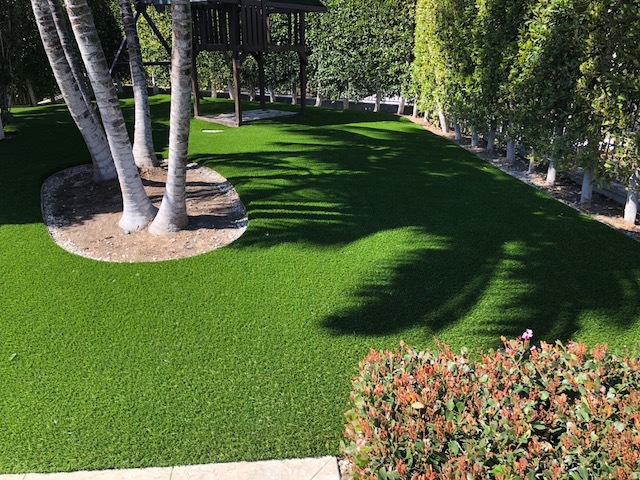 You won’t have to hire a green thumb to ensure that your lawn is looking lush. 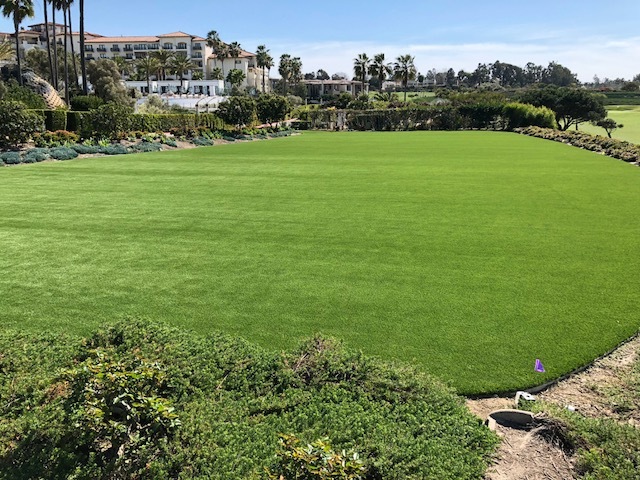 Our turf doesn’t fade, it’s impervious to disease, and it isn’t affected by under- or overwatering. 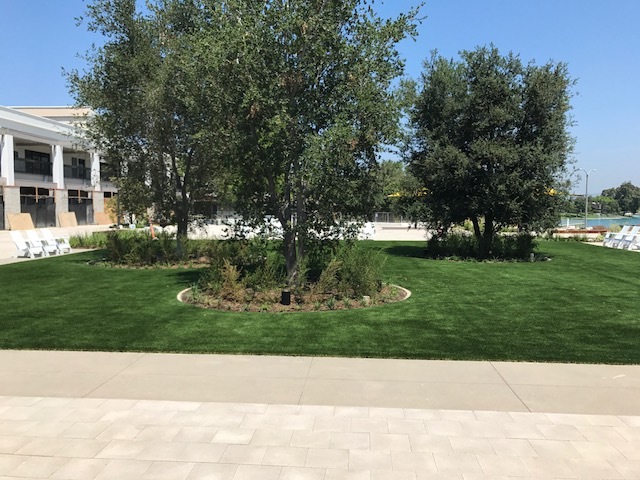 No weed control: Weeds are a nuisance for property owners. 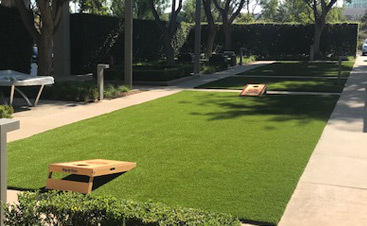 You can pull them yourself, wasting hours out on the lawn. 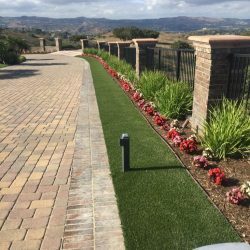 You can spray them, which may hinder your grass growth. 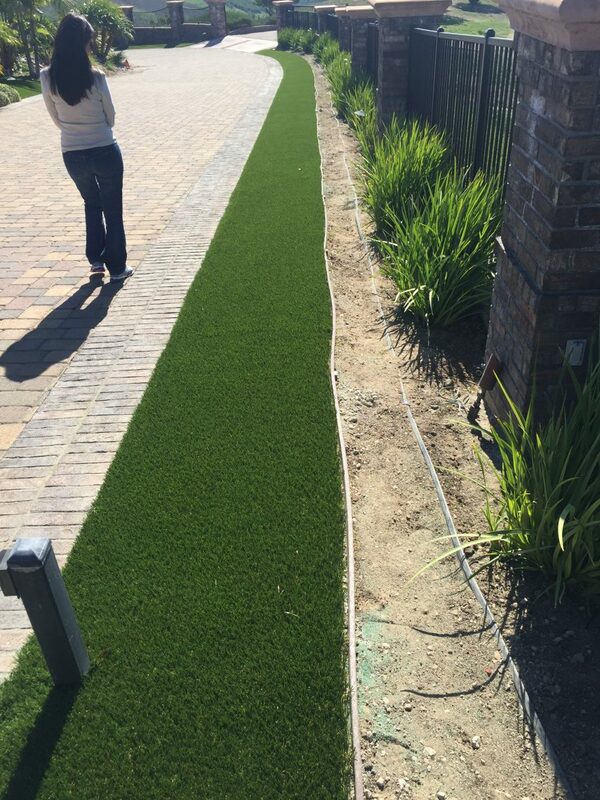 Or you can hire someone to control the weeds throughout your landscape — another bill to add to the pile. 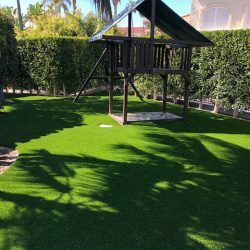 In short, maintenance for artificial grass is far easier and far cheaper than the maintenance costs associated with grass lawns. 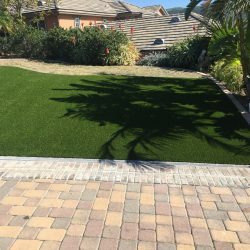 Feel free to learn more about the minimal maintenance that will be necessary for your artificial turf. 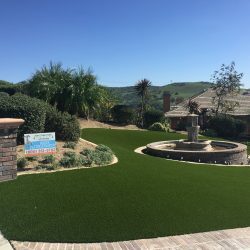 As we just mentioned, your turf won’t guzzle gallons of water, like a normal lawn would. 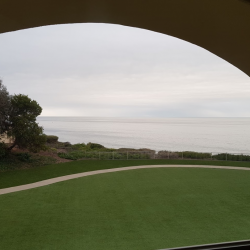 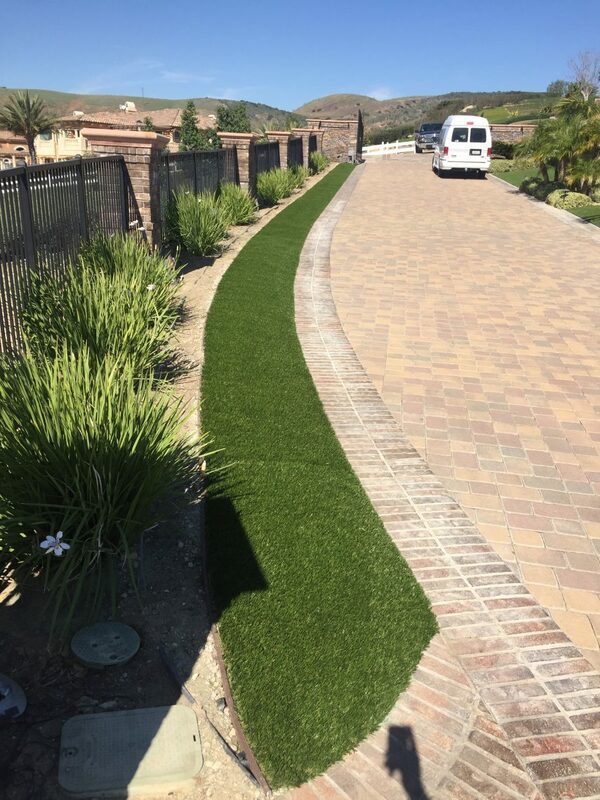 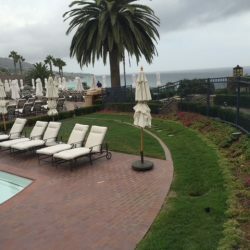 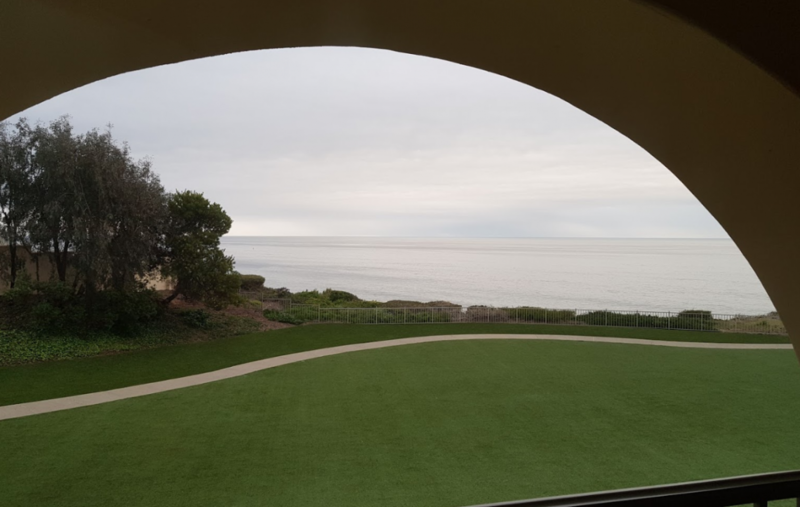 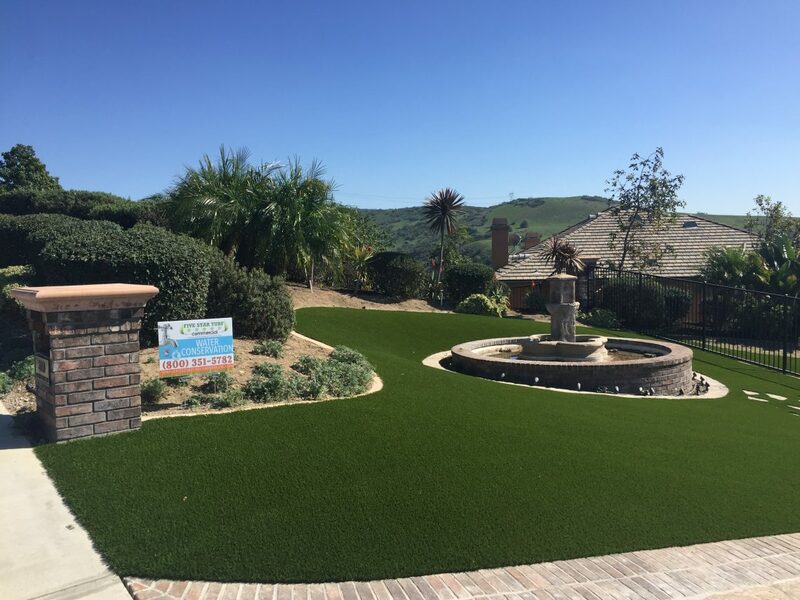 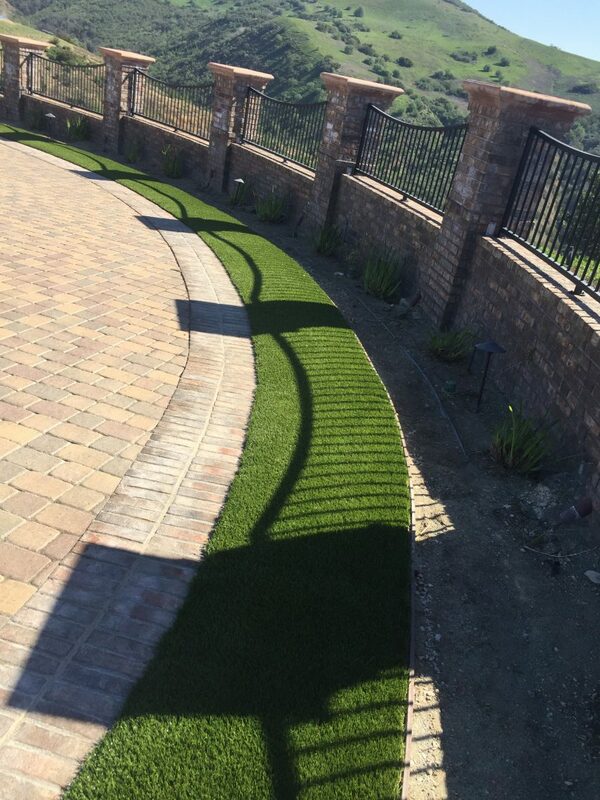 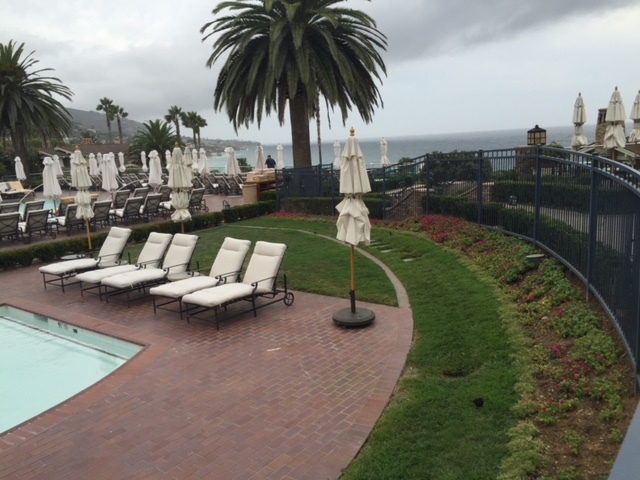 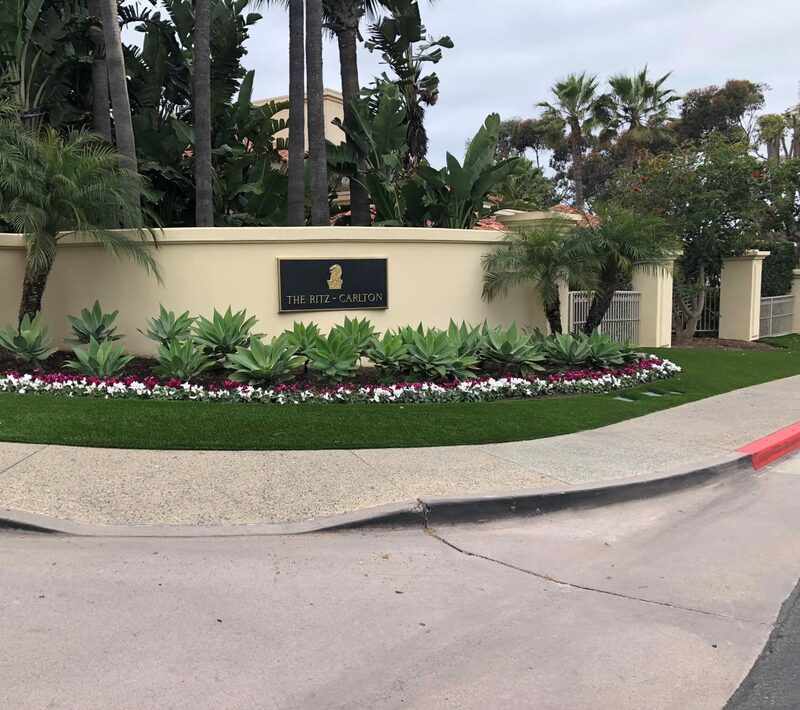 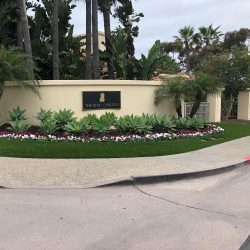 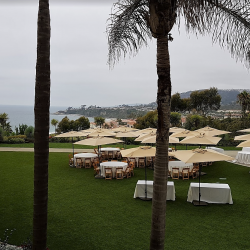 Simply put, natural grass yards don’t belong here in Southern California. 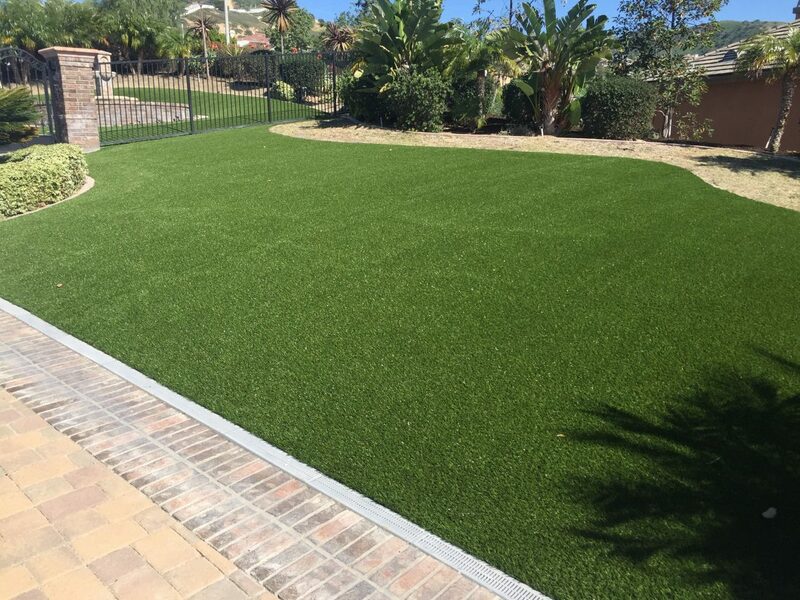 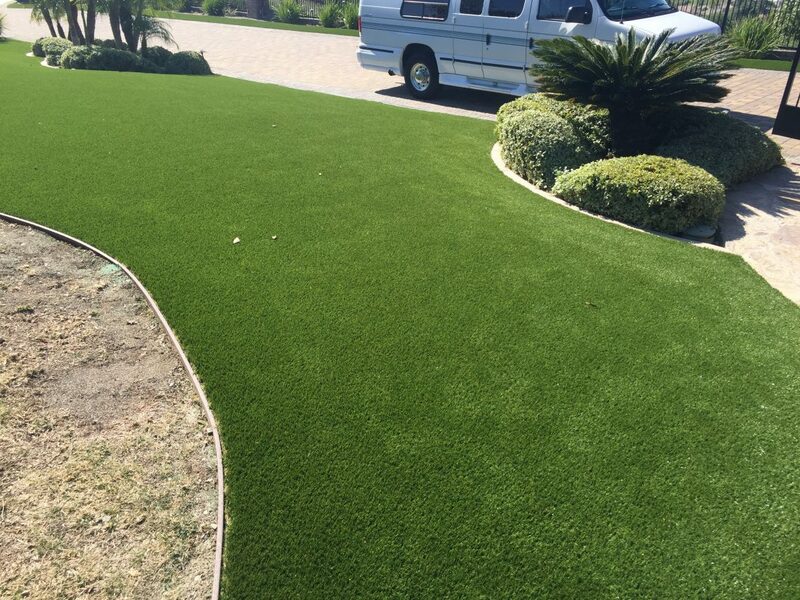 Artificial grass reduces water usage, which is undeniably important as we endure continuous droughts. 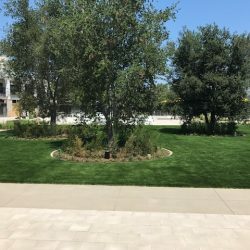 The University of Utah released an article, entitled LA Lawns Lose Lots of Water: 70b Gallons a Year, which encapsulates a study of the excess and waste of water that SoCal lawns are soaking up — or rather the amount of water lost to the atmosphere in an effort to water SoCal lawns. 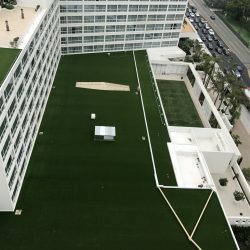 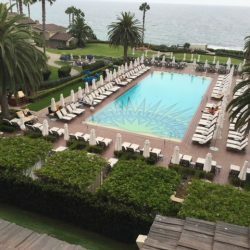 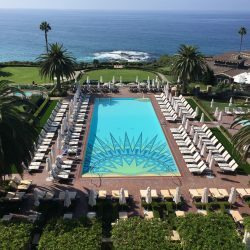 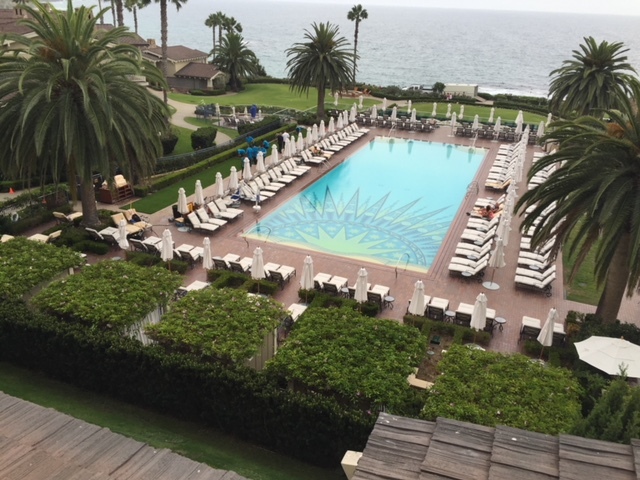 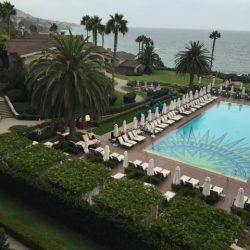 In their article, they note this figure: “In summer 2010, Los Angeles was losing about 100 gallons of water per person per day to the atmosphere through the evaporation and plant uptake of lawns and trees. 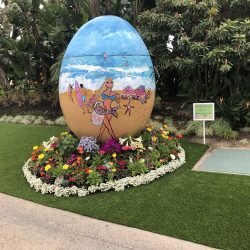 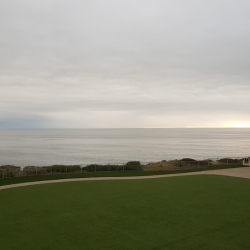 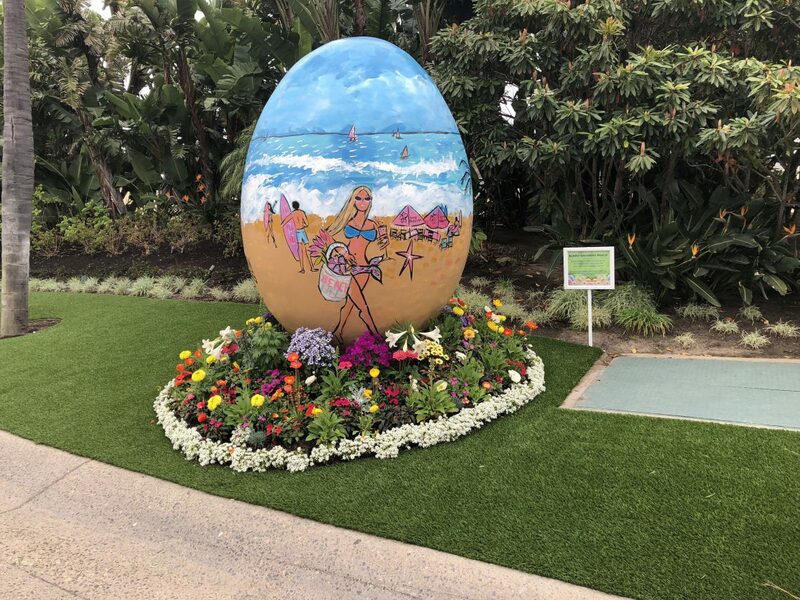 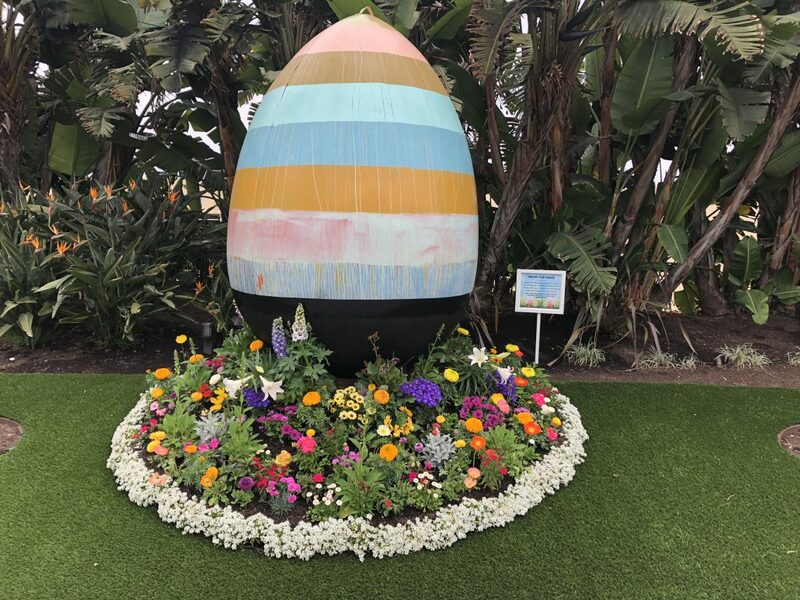 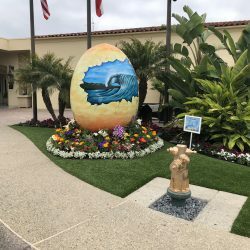 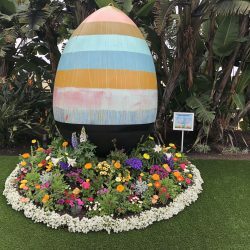 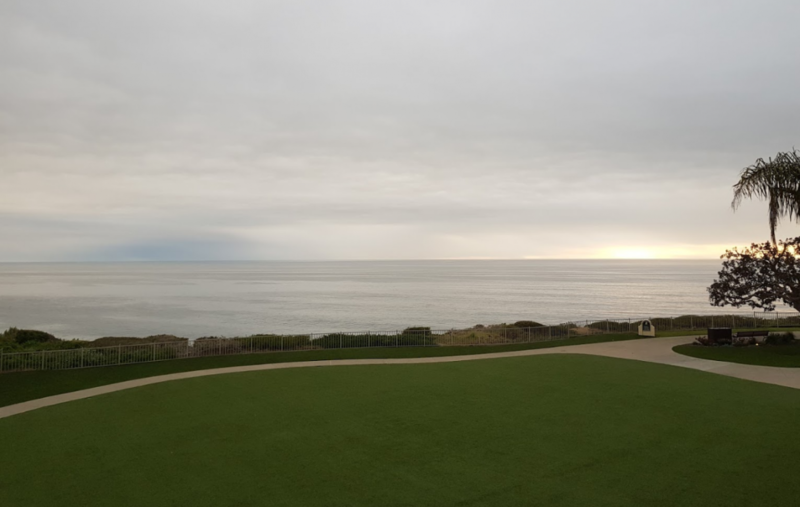 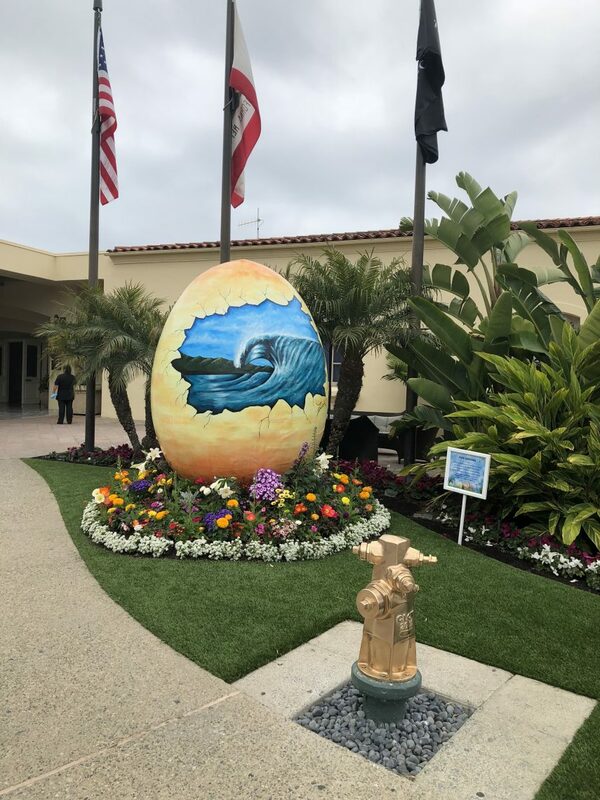 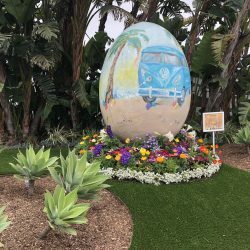 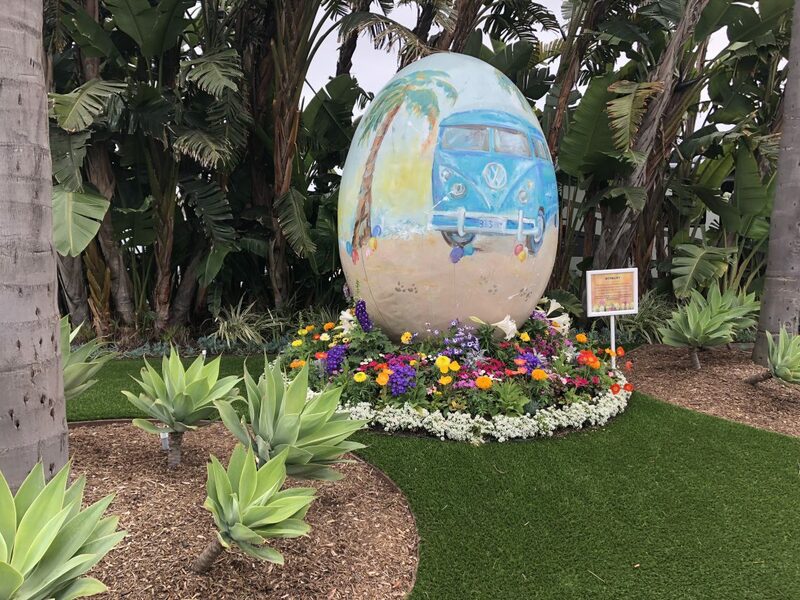 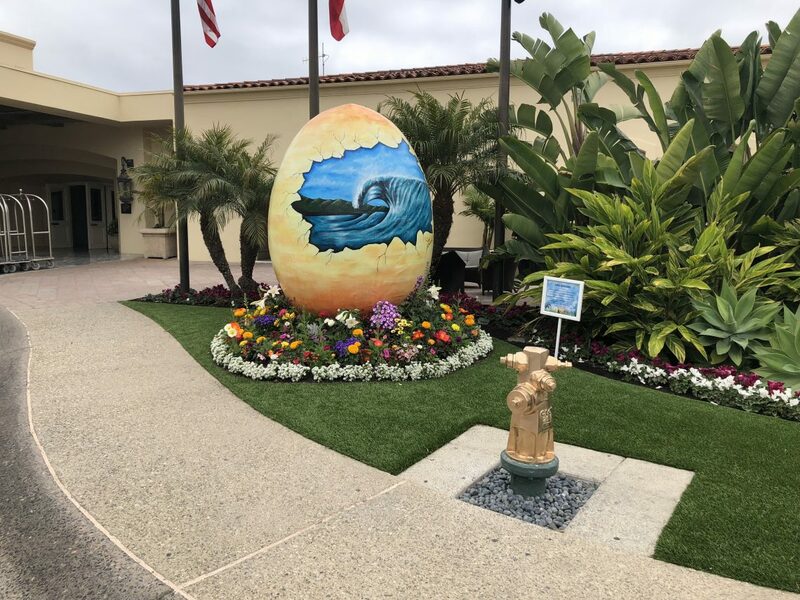 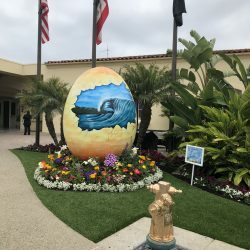 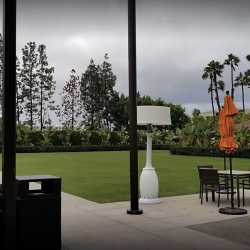 Lawns accounted for 70 percent of the water loss…” That’s a staggering statistic, and it speaks to how much water SoCal residents are pouring on their lawns and how much of that water evaporates into thin air. 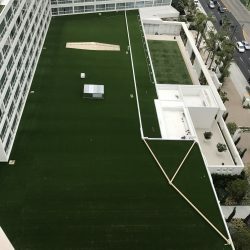 With artificial turf, far less water goes to waste. 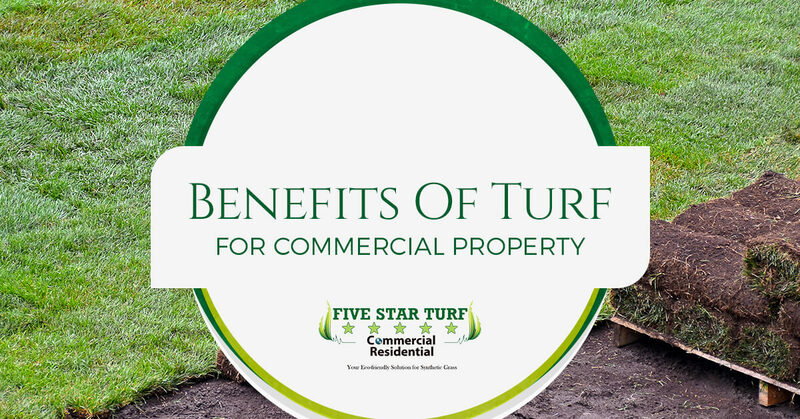 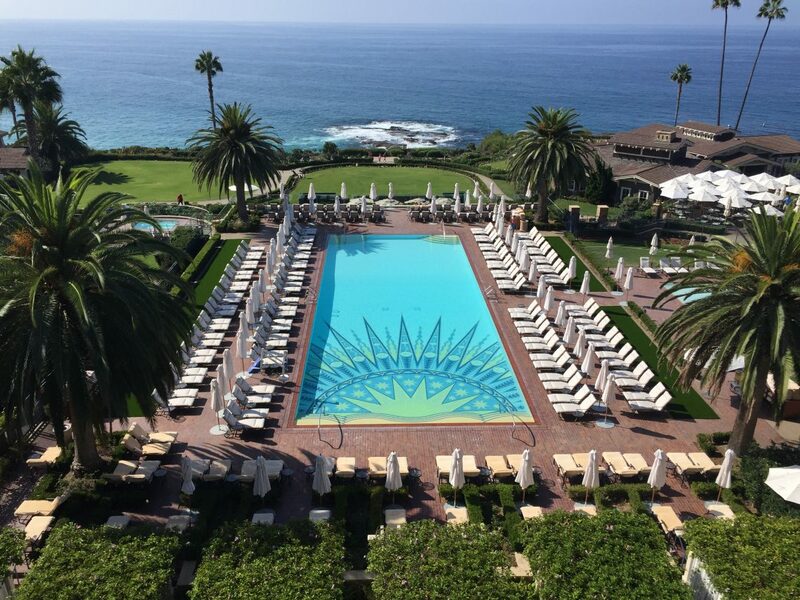 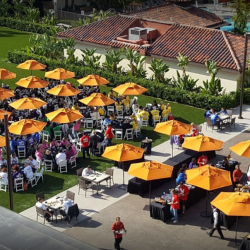 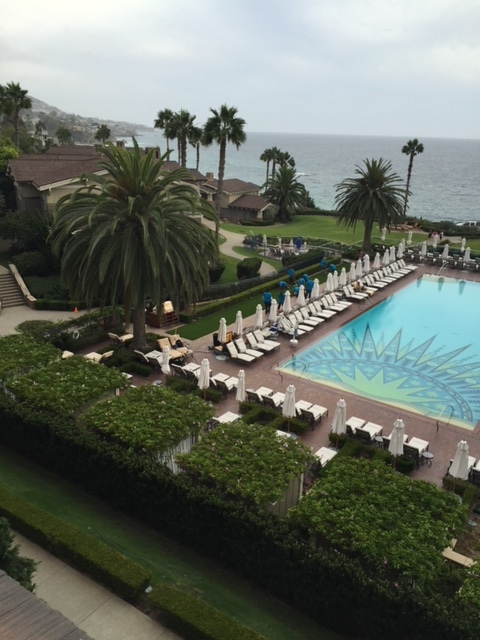 If you choose to work with Five Star Turf, you’ll enjoy a few additional benefits. 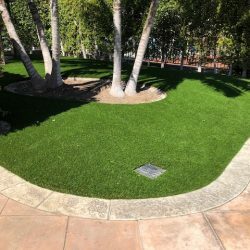 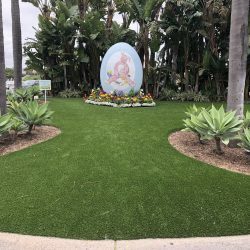 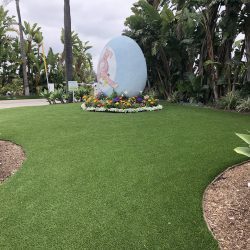 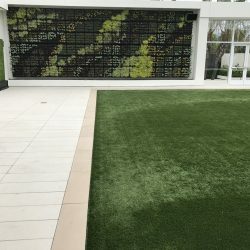 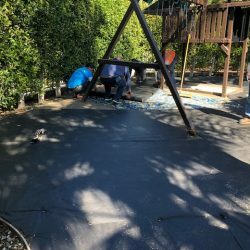 We offer a cost analysis to factor in all of the costs of your new turf installation, including water, labor, and materials costs, and we’ll show you the return on investment for your artificial grass lawn, so that you have a fair projection of the savings of our installation over time. 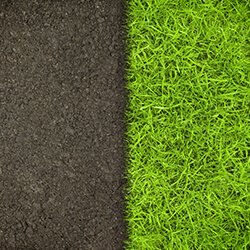 Best of all, our cost analysis services are completely free. 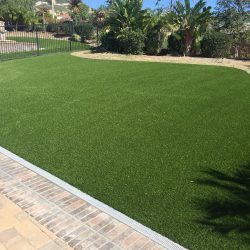 That’s right, you won’t have to spend a dime calculating the costs and benefits of grass versus artificial grass. 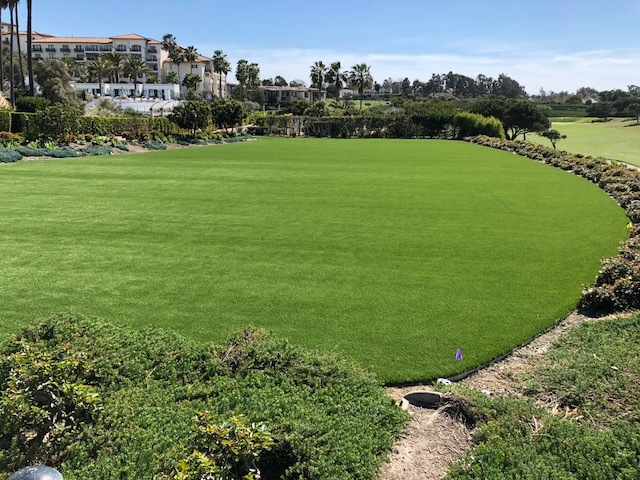 You’ll have a true estimate of your projected costs for a turf installation, and the costs you’ll forgo by avoiding seeding or a sod installation. 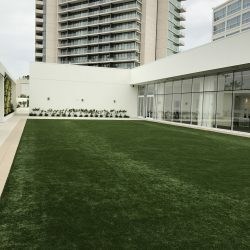 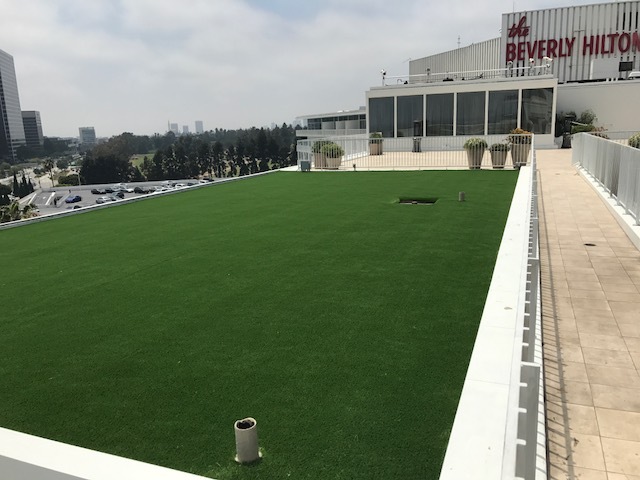 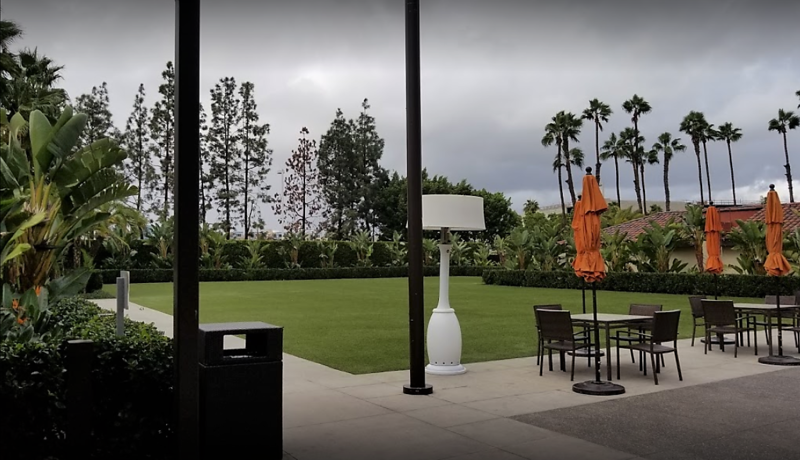 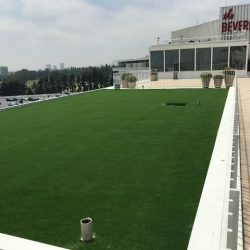 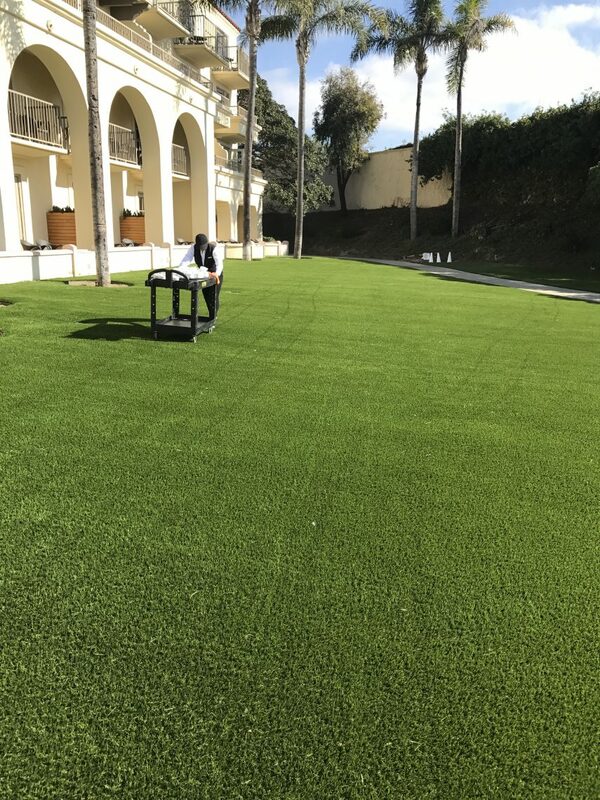 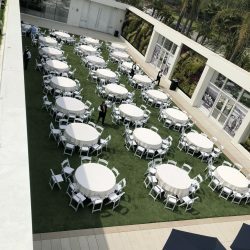 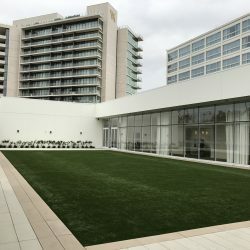 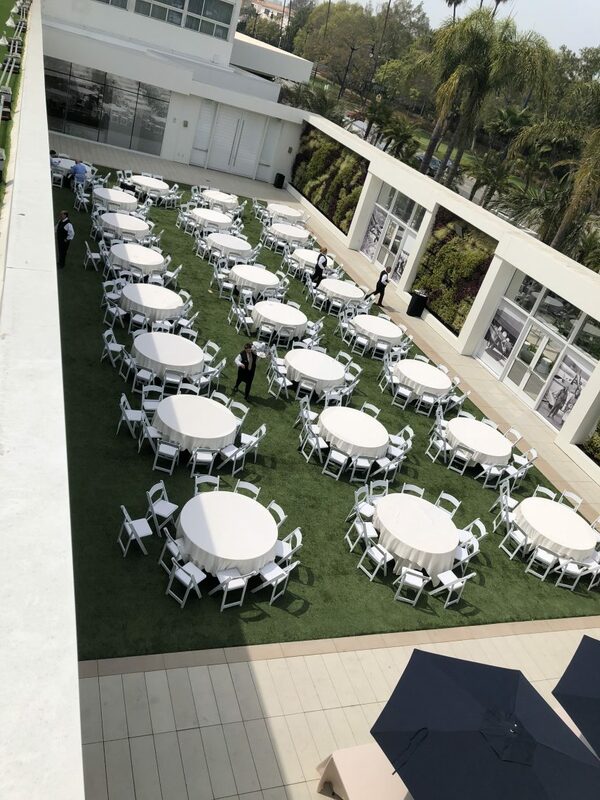 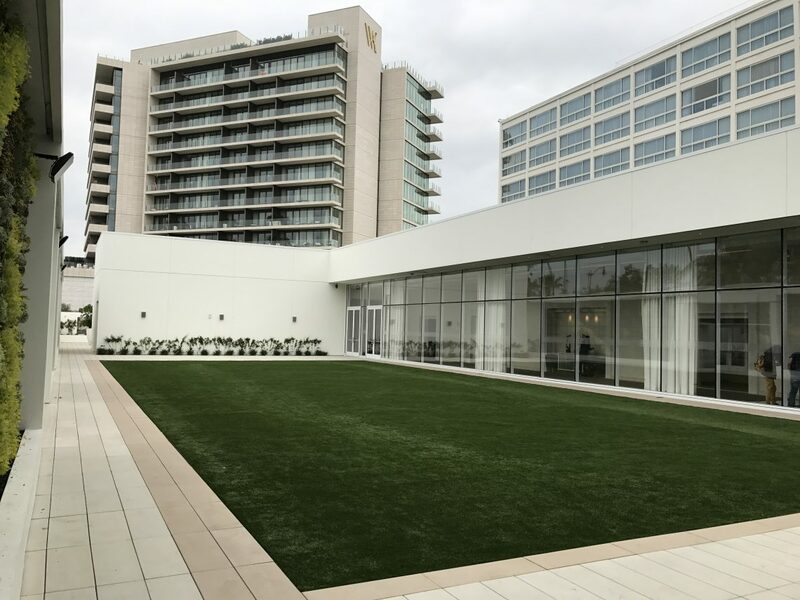 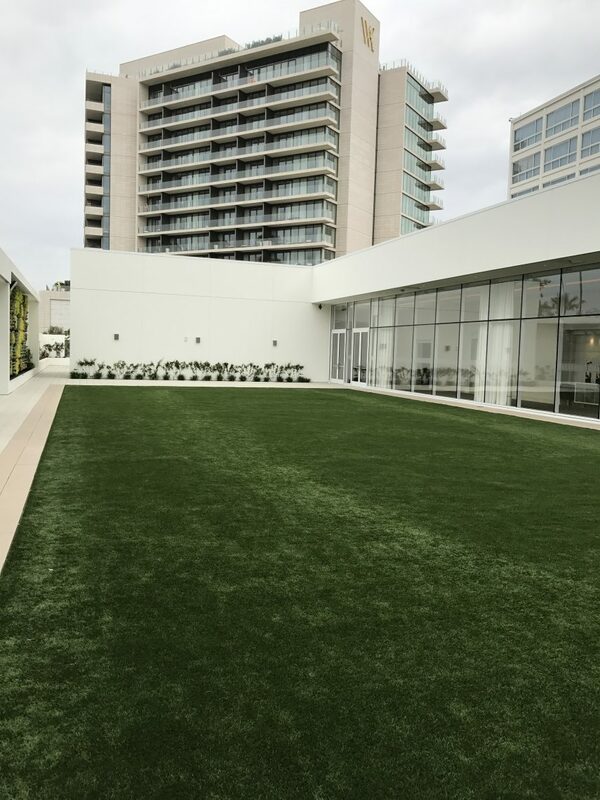 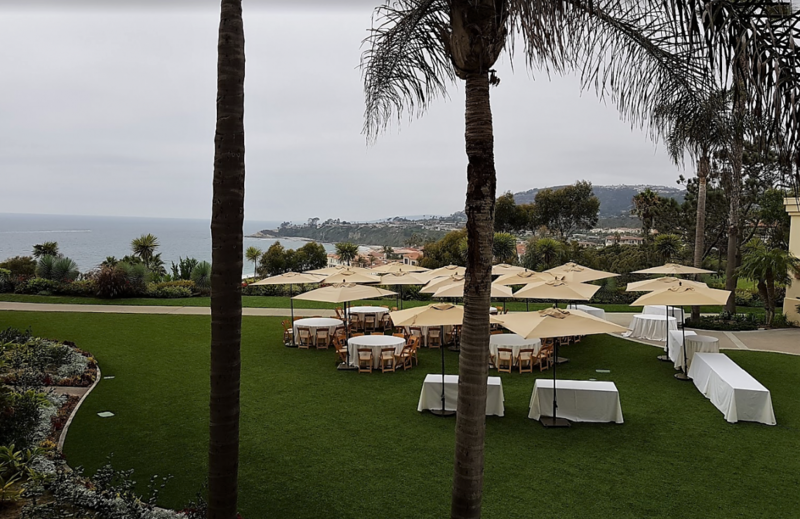 If you’re considering an artificial lawn for your commercial property, we’re here to convince you that it’s your best option. 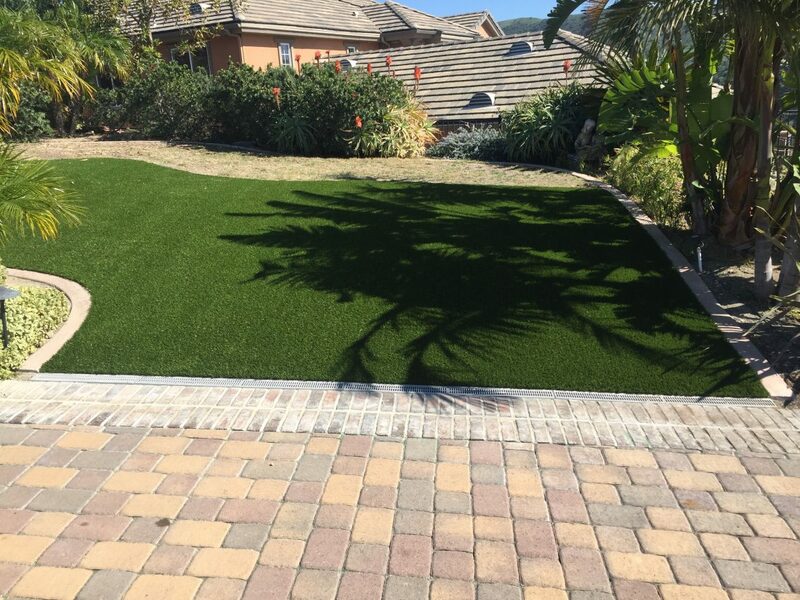 You’ll enjoy the aesthetic of your new turf, as well as its low cost, low maintenance, and low water usage. 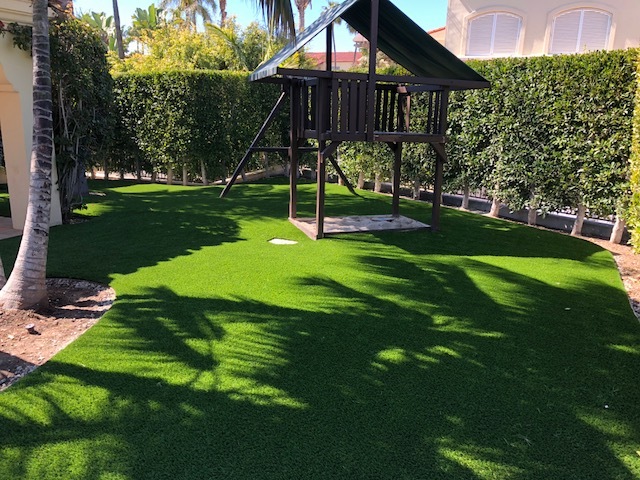 Landscape your property with Five Star Turf, and discover the benefits of artificial grass today!